Joey Gaydos, best known for playing Zack Mooneyham in the beloved 2003 rock music comedy, faces multiple charges in Florida. The actor who played Jack Black's guitar-playing prodigy in "School of Rock" was arrested and accused of swiping several expensive guitars in Florida in the past five weeks, authorities said Wednesday. Joseph "Joey" Gaydos Jr., 27, who played Zack Mooneyham in the 2003 movie, has open theft and shoplifting cases in Sarasota, Venice and North Port, police and arrest records showed. On Jan. 31 in North Port, Gaydos asked a store clerk if he could play an $800 Les Paul Epiphone Prophecy guitar — and he did, before dashing out without paying, according to a probable cause affidavit prepared by Officer Ralph Casselli. The heavily redacted report didn't show how police tracked down Gaydos, before his arrest on Feb. 25. Gaydos was inside Troll Music store on Feb. 7 in Venice, when he strapped on a guitar and casually walked the floor while playing it, according to security video posted by that city's police department. "When will thieves learn that almost all establishments have cameras? This sticky-fingered bandit made off with a guitar while the employee was distracted," according to a police statement asking for the public's help. That "video of him allegedly stealing a guitar ... helped lead to his arrest" on Feb. 25, Venice police spokeswoman Lorraine Anderson said on Wednesday. Then in Sarasota, he was arrested on Feb. 11 for allegedly swiping a $1,900 guitar from the Sam Ash Music Store, according to police. Gaydos had walked out of the store with the high-priced instrument without paying and got into his car before employees surrounded the vehicle and called police, officials said. "I need to be arrested. I stole the guitar," Gaydos allegedly told the arresting officer. Gaydos has been charged with two counts of grand theft and one count of shoplifting, according to Sarasota and Manatee County Sheriff's jail records. 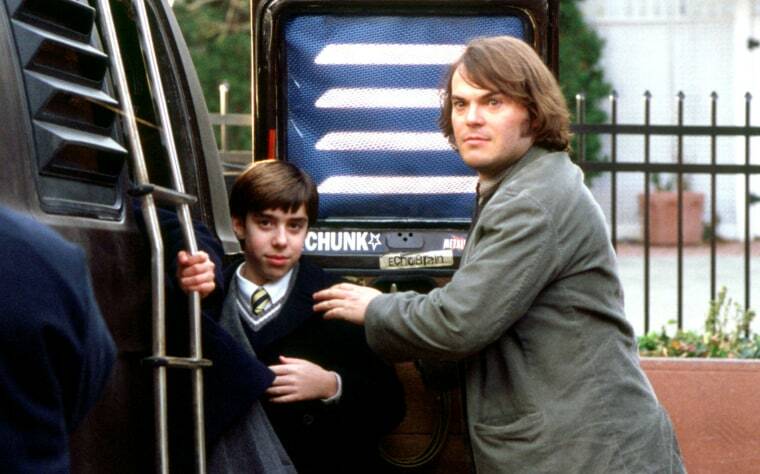 "School of Rock" is the only acting credited listed for Gaydos, according to IMDB. In a where-are-they-now piece about "School of Rock," the Hollywood Reporter said this past October that Gaydos was concentrating on a music career in his native Michigan. Gaydos' father answered the phone at the family's listed Florida number on Wednesday and told NBC News that his son hadn't yet hired a lawyer and did not want to discuss the cases.